We are pleased to announce that #NewellCheatheam #NewellsDesigns has been retained as #buildingDesigners of a 3700 s.f 1.2 million dollar home by Branchwood Builders, LLC to be built in the upper kirby area of Houston, Texas. Cheatheam as designed over 4,000 residential and commercial projects over the years. Katy, Texas — International Building Designer Newell Cheatheam, AIBD, CPBD and President of Newell’s Designs www.newellsdesigns.com of Katy, Tx. was one of the five judges that helped judge the Victoria Builders Association http://vctbuilders.org – Parade of Homes, Victoria, Texas on April 29. Builder members of National Association Home Builders from around Texas helped judge the parade along with Cheatheam. 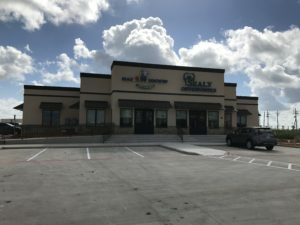 International Building Designer Newell Cheatheam, President of Newell’s Designs of Katy, Texas www.newellsdesigns.com recently finished construction drawings for 2 levels of offices with a total 2100 s.f. to be built in a new 25,000 metal building FAB shop for PFP Technology, LLC www.pfptechnology.com to be built at 29387 Goynes Rd, Katy, TX. Ruma Deysarkar of PFP Technology will be the project manager for the project. International and national award winning building designer Newell Cheatheam, C.P.B.D., A.I.B.D., T.I.B.D. of Newell’s Designs, Katy,www.newellsdesigns.com has completed project plans for a 58,588 s.f. two RV/Boat metal buildings and one climate control building proposed to be built on 3.96 acres West of Katy, by Ward-Brown Partners LLC with offices in Houston and Katy, Texas.